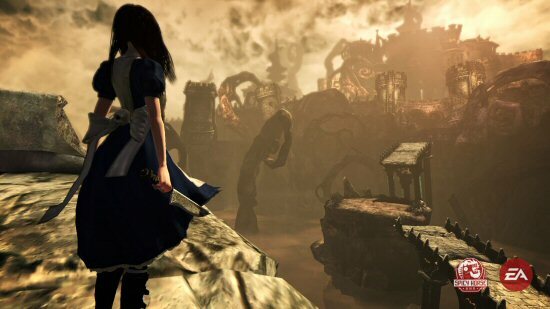 Alice: Madness Returns is the dark and deranged sequel to the year 2000 PC hit, American McGee’s Alice. Designed with the same dark style of the original, but now featuring entirely new visuals, story and game design, Alice: Madness Returns is an action adventure set to release on PC, PS3 and Xbox 360. The game follows Alice on a journey through a wildly corrupted and shattered Wonderland to uncover the truth behind her haunted past and tortured psyche. In this journey, players will romp through elaborate worlds, encounter a cast of off-beat characters and engage in battles with deadly weapons and sinister villains.